Prominent & Leading Manufacturer from Mumbai, we offer automated storage & retrieval system, automated material storage system, material storage system, light duty storage rack, bulk storage racks and stainless steel racks. 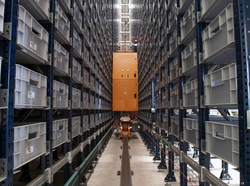 We are the leading manufacturer of Automated Storage & Retrieval System and our product is made of good quality. 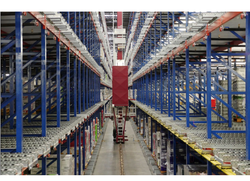 To simplify the handling of material and goods, we offer Automatic Material Storage Systems and retrieval systems that are completely automatic. These material storage systems are sturdily built so that they offer extended service life and optimizes the material handling procedures of our clients. 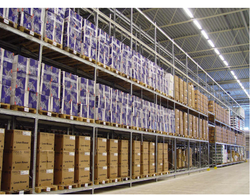 We are one of the leading manufacturers of a varied range of Material Storage System. This range is manufactured from an optimum gauge of steel and complies with industrial standards. Our range is competitively priced and is highly demanded in many industries. With in-house powder coating facility, we also provide a wide range of colors to satisfy our customers. 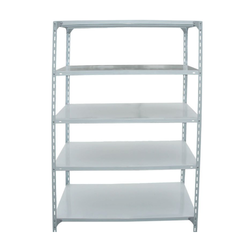 We are the leading manufacturer of Light Duty Storage Rack and our product is made of good quality. 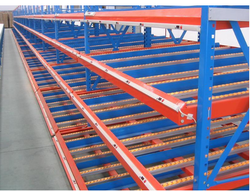 Our reputation in the market is largely attributable to our precision-designed Bulk Storage Racks from our extensive collection of products. This product is manufactured using excellent quality raw material and latest technology by our skilled professionals. In order to ensure quality, this product is stringently tested on various parameters by our experts. Apart from this, remarkable quality and sturdy structure increase the demand of our offered range in the market. 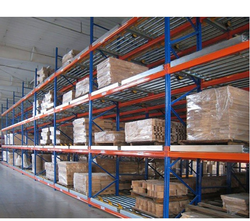 We are the leading manufacturer of Material Storage System and our product is made of good quality. we are a manufactureres of stainless steel racks in a good quality and quantity. genrally used in Hotels,Restaurant,Canteen,Hoshpital,pharmasutical plants ,big kitchen,cold storages etc. Looking for Storage Products ?